Timeline: Started October ’08, became official September ‘09. Transition Ipswich have a core group of about 8-10. Their main activities have been holding film screenings and discussion evenings, such as the BBC documentary Farm for the Future, Home and In Transition. During May TI held a week-long series of events during a local May festival, centred around a Bedouin tent. They launched their very popular backgammon Nights during this week, which now runs once a month at the local Museum Street Café. Ipswich consider themselves in the awareness raising phase and are making links with existing groups, such as the Suffolk Wildlife Trust. Recently they organised a Massed Bike Ride for the International Day of Climate Action. Meanwhile they have also formed a food group and a solar-panel buying club. The food group are working with the local co-op (Ripple) who have recently moved into the city centre and are actively engaged in organising wild food walks, the mapping of fruit trees and gleaning projects. 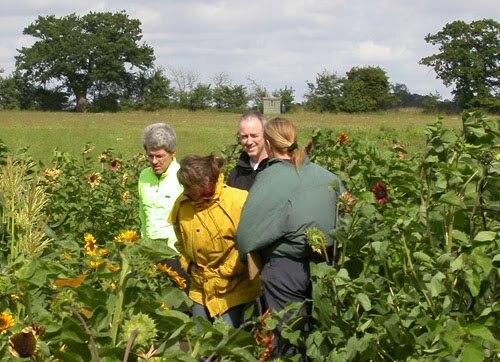 They also work very closely with the People’s Community Garden in Mildenhall, which has a permaculture club, as well as an office powered by solar panels and a newly installed wind turbine. The Green Living Centre one now links through to it - but this is the direct address.